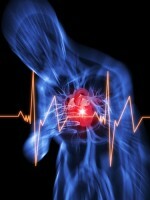 Heart attack is one of the common causes of death worldwide. Fatal heart attacks account for around 500,000 deaths in the US yearly. It can come so suddenly, but there are also warning signs that people can heed to prevent it from happening to them as much as possible. Here are some of the heart attack risk factors that people should become more aware of. The calcium score is known as the amount of calcium deposits found in the coronary arteries. This score also reflects the amount of atherosclerotic plaque. It may be a good indication how all the other risk factors may work together to cause heart attacks. The higher the calcium score based on age levels, the greater risk one will have of having heart attacks. Men over 40 years old and women over 50 are advised to get a CT heart scan in order to get their calcium score. People who are diagnosed with diabetes or with metabolic syndrome or prediabetes are also considered at high risk of heart attacks than people who arent. Diabetics ages 40 to 70 years old are considered to have a 40 percent risk of having heart attacks. About 70 percent of patients in coronary care units also have diabetes or prediabetes. Waist circumference is also considered as an indicator of ones heart attack risk. A person with an apple-shaped body is known to be at a greater risk of developing cardiovascular disease where body fat is stored in the abdominal area. A waist circumference of around 35 inches for women and 40 inches in men puts them at a greater risk of having heart attacks.